At the break of dawn, as mist gently settles above the waters, the horizon fuses with an azure-blue sky above. In the distance, you'll see people performing their morning ablutions; ladies washing clothes as they have for centuries, their saris draped on rocks to dry. In many respects, daily life along this great waterway remains unchanged for centuries. This is the Ganges, a name redolent of Indian exoticism and spirituality, a river all of us know but very few have actually discovered - until now. Our ship, the RV Bengal Ganga is based on a traditional 19th-century design, blending beautifully with the timeless landscape. Recent navigational improvements coupled with 21st-century technology enable us to explore this extraordinary river on a truly unforgettable small-group journey. On board, your every need is attended to by a charming crew who represent the best of Indian hospitality. Our cruise explores the lower Ganges, known as the Hooghly River, which very few ships can access. We will pass regions fought over for generations, occupied by French, Dutch, Portuguese and even Danish outposts, until 1757 when Britain finally cemented its hold over Bengal and the entire Indian sub-continent. 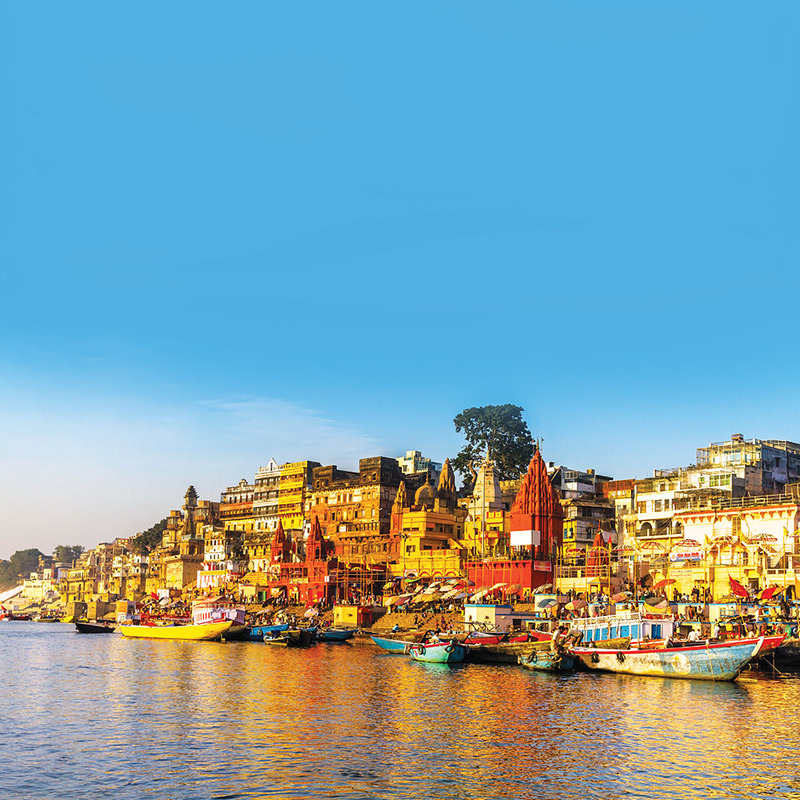 Our cruise and subsequent land tour includes four sublime cities: Delhi, Agra, Varanasi and Calcutta. Witness the jewel in the crown, the Taj Mahal, in the rosy glow of the early morning at its most astonishing. See the grand monuments of the British Raj in Delhi and Calcutta, as well as India's holiest city, Varanasi, spectacularly located on the Ganges. You should arrive at the airport for your overnight flight to Mumbai. After our morning arrival in Mumbai, you connect with your flight to Kolkata (Calcutta). On arrival, you will be transferred to your ship, the superb RV Bengal Ganga, and we’ll cast off in the afternoon towards Kalna. This afternoon we arrive in Kalna and experience a wonderful rickshaw ride, the ideal way to truly experience all the sights and sounds of India with all your senses! Our destination is the Rajbari temple complex, with its remarkable 108 temples built in two concentric circles dedicated to Shiva. We return to the ship in the afternoon and continue our cruise towards Matiari, arriving in the evening and mooring for the night. The village of Matiari is known for its traditional brass and copper work, a skill passed from generation to generation. Walking through the village you’ll hear loud noises of metal beating emanating from almost every house – plus you’ll have the opportunity to see the brassware process from conception to finished article. Continuing our cruise upstream we pass Plassey, site of the decisive battle which changed Indian and indeed British history in 1757. Clive of India defeated the Moghul Nawab, ruler of Bengal and his French allies, thus establishing East India Company rule over the entire continent for the next 190 years. We moor overnight in Murshidabad. Murshidabad was the former capital of Bengal before the establishment of Calcutta. After breakfast, we visit the remains of the Katra Mosque, with its two huge defensive towers. You’ll also visit the Hazarduari Palace Museum, built in an incongruous grand Palladian style by the British architect Duncan McLeod. Known as the ‘palace of a thousand doors’, most of which are false, it houses an amazing armour, porcelain and palanquin collection. 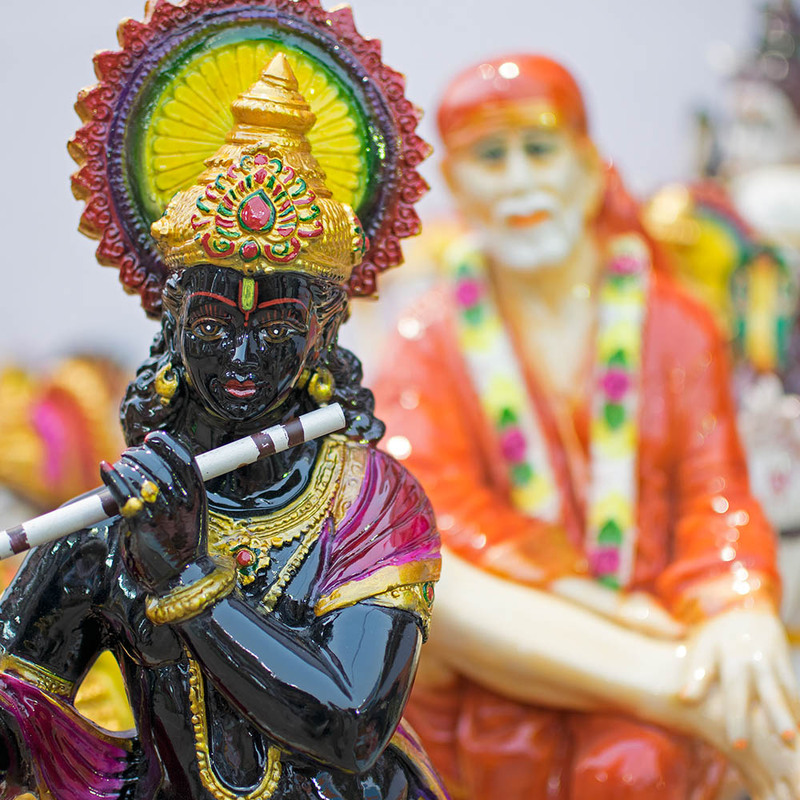 Next, you may wish to join your guide for a fascinating walk through the local market – a great opportunity to experience a real Indian bazaar in all its incredible sound and colour, providing fabulous photo opportunities way off the tourist trail. The ship remains moored overnight in Murshidabad. We set sail for the town of Mayapur, best known as the worldwide centre of the Hare Krishna sect of Hinduism. A vast temple the size of St Paul’s and a planetarium are nearing completion. You’ll be able to learn about fascinating aspects of this religion and see the parts of the large temple complex. We continue downstream, stopping at the little-known French colonial enclave of Chandernagore, originally established as a trading post in 1673. There are still numerous French colonial buildings to see along the town’s promenade, including the former Governor’s Residence, now a museum. 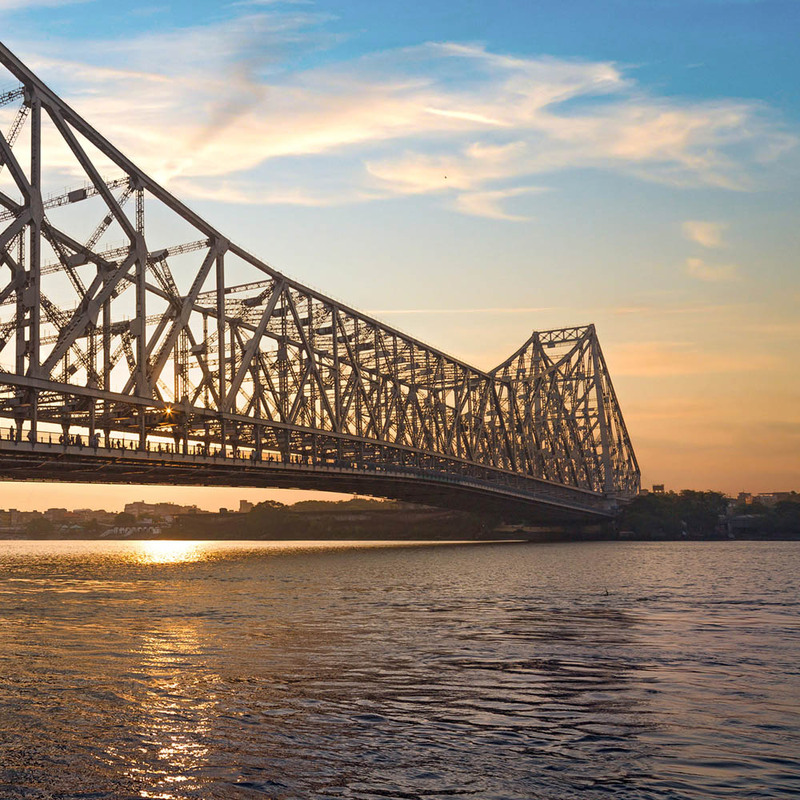 In the afternoon, we arrive back in Kolkata, sailing under the huge span of the iconic Howrah Bridge, right into the city’s heart, where we moor for the night. Kolkata was the capital of British India until 1911. Our guided tour includes all the major sights, including Dalhousie Square, still the political and commercial centre of the city, around which all the city’s major administrative buildings were located. We’ll admire the General Post Office, the High Court, Town Hall and the Writer’s Building, amongst the many beautiful examples of grand Victorian colonial architecture. St John’s church, previously the city’s cathedral, was modelled after St. Martin-in-the-Fields in London, whilst the Victoria Memorial was based on the Taj Mahal. Tonight, we spend our last night on the ship. This morning we fly to Varanasi, staying one night at the four-star Taj Gateway Hotel Ganges, with breakfast. Founded in the 6th century BC, and one of the oldest cities in the world, Hindus believe Varanasi to be the centre of their universe. Nestling on the holy River Ganges, Varanasi’s old city is a labyrinth of tangled alleys, shops and workshops. We take a rickshaw ride through this atmospheric area to the river. Buzzing with pilgrims, the banks are lined by high, centuries-old palaces, with descending steps or ‘ghats’ leading to the water below. Here, the faithful wash themselves in the holy waters while brightly clad Brahmin priests practise yoga and meditation. This evening you’ll witness the Aarti, one of the most impressive of Hindu ceremonies, as large crowds chant and pray, setting small candles adrift on the water in memory of loved ones. You will also likely see several of Varanasi’s famous funeral pyres on the riverbank, where mourners gather and the entire area glows with a flickering yellow as the deceased receive instant enlightenment. A leisurely start today sailing towards Bateshwarsthan, cruising through a 50-kilometre stretch of the river, designated as the Gangetic Dolphin Sanctuary, established to protect the endangered Ganges River dolphins. 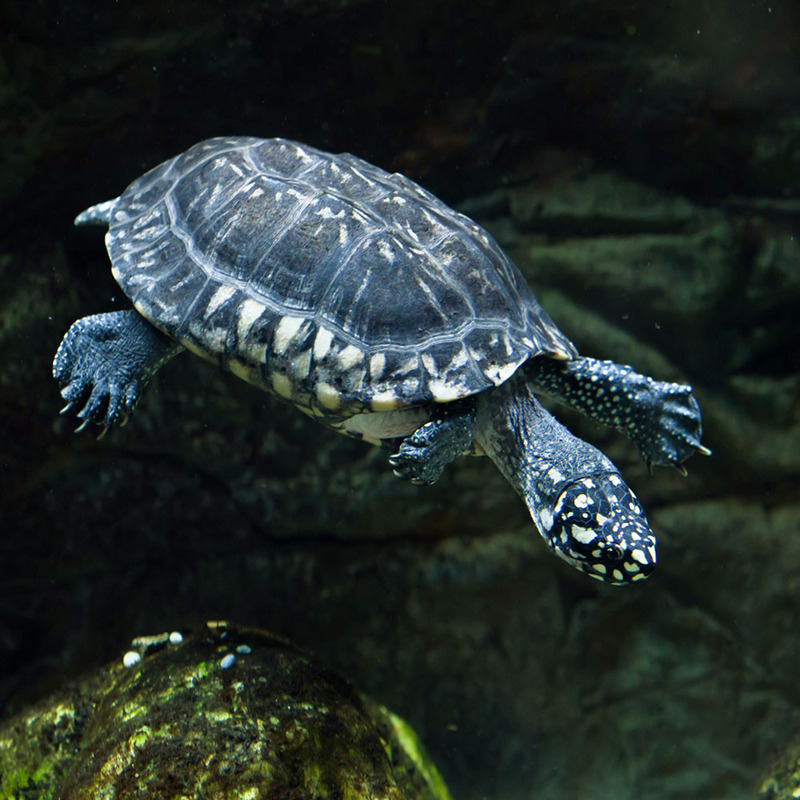 The reserve supports a rich diversity of wildlife, including the smooth coated otter, several species of hard and soft shell turtles and a huge variety of migratory birds. At Bateshwarsthan, we will visit the remains of Vikramshila University, established in the late 8th Century AD, one of India’s two most important centres of Buddhist learning. We moor overnight in Samtaghat. We rise early catching the sun rising over the Taj Mahal for one of the world’s finest travel experiences. In the soft morning light, as the mist rises from the Yamuna River beyond, the Taj seems to float, mirage-like, above the surrounding landscape. A combination of extraordinary beauty, symmetry and history truly makes this wonder of the world one of the planet’s most amazing monuments. Have your camera at the ready, as there’s ample time to admire the Taj from all angles. Afterwards we continue to the vast red sandstone Agra Fort, a mammoth red-sandstone monument that can be better described as a palace than a fort. This UNESCO World Heritage site was completed in 1573 and was once the centre of the Moghul Empire. This evening you have the option to return to the Taj Mahal at sunset. After a leisurely drive to Delhi, we explore the bustling heart of Old Delhi in the afternoon with an exciting traditional rickshaw ride through Chadni Chowk. We continue with a guided tour of New Delhi. The city centre, designed by Sir Edwin Lutyens in 1911, is bisected by wide, tree-lined avenues, which clearly reflect the legacy of the Raj. Continuing along the imposing Rajpath, we pass the symbols of modern India, including the Presidential Palace, the Parliament Building and India Gate. We’ll also visit one of Delhi’s older monuments, the Qutub Minaret, India’s tallest stone-built tower dating from 1199. On our final evening, we stay at one of Delhi’s finest hotels, the sumptuous five-star Taj Diplomatic Enclave Hotel (previously the Taj Palace), with breakfast. Depart Delhi and take your direct flight to London, arriving back later the same day. Please note: The itinerary differs on certain departure dates to ensure a smoother experience. The price of this holiday is per person, based on two people sharing a twin room/cabin. Four nights in four and five-star hotels with breakfast on the 'land' portion of this tour, seven nights on full board, including local bottled mineral water & all-day tea/coffee on the RV Bengal Ganga, all flights as mentioned including two domestic flights within India, all transfers & porterage of one item of luggage per person, guided tours of New and Old Delhi, Agra and the Taj Mahal, Kolkata, rickshaw and boat tour in Varanasi, all shore excursions as mentioned on the RV Bengal Ganga; gratuities for ship's crew (excluding local guides) and the services of a Riviera Travel tour manager. Please note: Cruise itinerary subject to change according to weather conditions, changes in navigation channels and water levels. Luggage allowance for internal flights is limited to one bag per person weighing no more that 20kg. Not included: Indian visa - see visa and health information.